Canggu is an old village within the territory of Bali. Rivers, rice fields, beaches and forest are the main features of Canggu. The destination offers a lot of things to do to the surfers. However, the adventure experiencing activities won’t come to an end as you stay in Canggu. It is due to the capability of the place to offer you too much within itself. Canggu is an old and traditional Indonesian village. It has been kept the way it was since its origin. The beautiful natural sites have not been harmed with the development in the recent past. Canggu is only 40 minutes drive away from Bali International Airport. Canggu is located in South East of Tanah Lot district in the North of Seminyak. Canggu is only 20 minutes drive away from Seminyak. The rural surroundings in Canggu give the complete “ancient village” effect. Thousands of people come to visit Canggu every year. The destination is well known for its quiet, calm, rural and simple lifestyle. The place isn’t equipped with modern day architecture. Canggu is the perfect place for the people who are looking to get away from their daily urban life. Majority of the people spend their vacations in urban places. However, a vacation is supposed to be for a change and relaxation. Living in a rural environment with complete relaxation and comfort is what Canggu offers to its surfers. Although, the place is traditional styled but it possesses all kinds of modern day facilities and accommodations. Luxury villas in Canggu provide the maximum facilities to their customers. The price is fair as compared to other Bali villas. The luxury villas provide Weber Bar B Q, garden and private pool. The staff at Canggu villas aims to provide best customer services with a smile on their face. The TV lounge is cozy and equipped with TV and DVD player. The dining room opens itself towards the garden which brings the cool and fresh breeze in the room. These villas possess the best chefs. The chefs provide all kinds of meals to the visitors coming from all parts of the world. The in-house spa treatment service can also be gained while staying at Canggu villas. 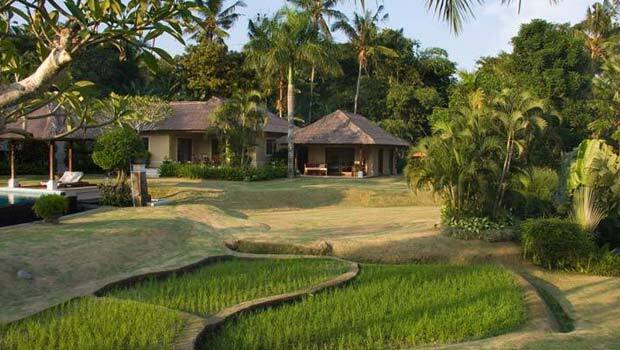 Your stay at Canggu villas can be called traditional, rural, safe, enjoyable and memorable. Canggu Club is the prestigious entertainment center in Canggu. Majority of the Canggu villas have the membership at Canggu Club. If you are staying at any one of these villas then you can visit the Canggu Club for free. The club possesses library, dining, pool, tennis, squash and many other features. Pererenan, Echo and Seseh beach are some of the beaches in Canggu. Thai, Spanish, French, Italian, Japanese and many other kinds of food is available at several restaurants in Canggu. No matter from where you belong your stay at Canggu is guaranteed to be enjoyable and memorable. Whenever you plan to visit Indonesia do come and explore Canggu, Bali. Canggu has always been welcoming and refreshing for the surfers.